The Goldberger Law Office is committed to defending the rights of those charged with criminal offenses. 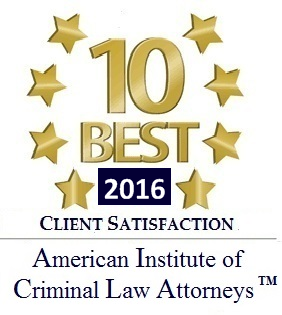 I have a reputation for excellence in the area of criminal defense, defined by an aggressive and innovative approach to the interpretation of various Criminal Laws in the State of Minnesota. I vigorously defend my clients throughout the State of Minnesota. I know that being charged with a crime is a stressful and horrifying experience. It is not uncommon to make mistakes. Whether a police officer had no reason to stop your vehicle, or there was no probable cause for your arrest, or there was a faulty reading from a Breathalyzer test, or your blood alcohol content appears elevated due to a medication you take, or even if you are simply in the wrong place at the wrong time, I will guide you in the pursuit of justice. I also understand that people sometimes make bad decisions, especially when they have been drinking. I will carefully review all the details of your matter, in order to get the best possible outcome for your case. I will also carefully consider what your wants and needs are during every step of the process. At the Goldberger Law Office I take the time to educate my clients in the relevant areas of the law. I want to make sure that you understand the charges against you, as well as the possible implications and penalties related to those charges. It is important to me that my clients play as active a role in their case as they choose. I believe it allows me to represent you more accurately, and successfully. If you have been charged with a crime or traffic violation in the State of Minnesota, please contact me now!